Are you looking for an affordable and user-friendly way to learn QuickBooks? Do you own a small or mid-sized business and need help learning how to do bookkeeping? At Sheltra Tax & Accounting, LLC our certified QuickBook experts will help you organize your finances and better understand your business with our easy Set up and Training program in Essex Junction VT. Whether you own a business in Vermont or would like to learn how to do QuickBooks for another business in Vermont, our quick and easy QuickBooks training will help you learn all the basics and fundamentals of the QuickBooks program in 1-2 training sessions. How Much Accounting Do I Need To Know With QuickBooks Training? You need to understand the basics of business bookkeeping, including payment to a business for services rendered or products sold and paying expenses. As long as you have a basic understanding you should be able to use the QuickBooks program once your training is over. 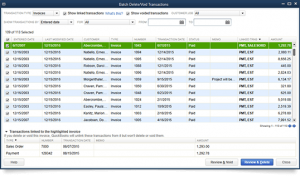 If you are handling your own bookkeeping, or part of it, you need QuickBooks on your computer or a subscription to QuickBooks Online. Depending on your industry and your personal needs, set-up and customization can take about 1 day. Our QuickBooks experts will evaluate your current accounting system and see what speed you can handle your training at depending on your functional needs. Which Version Of QuickBooks Do You Teach? Each training session is scheduled for three hours. Most individuals require two sessions to fully understand the QuickBooks software and be able to successfully work within the program. Are Classes Online Or In Person? Classes are in person at Sheltra Tax & Accounting, LLC. We’ve trained a number of residents from the following areas in VT: Burlington, Essex Junction, Fairfax, Jericho, Underhill and Westford. 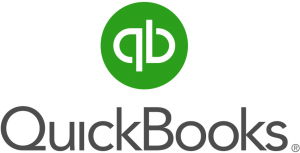 For more information on QuickBooks Training in Vermont, request an appointment or call (802) 878-0990 to speak to a QuicksBooks specialist today.